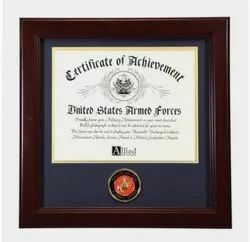 Certificate Frame offered comes designed and developed as per the latest trends in superior grade acrylic material finish that provides for smooth and exciting presentation value to the product. Further, its availability in various design and size choices as well as its competitive prices also makes it highly preferred by customers. 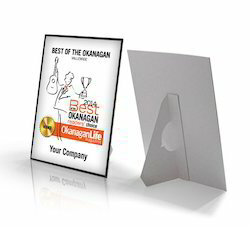 Appreciated as the most recommended company, we are engaged in offering Customised Certificate Frame. Used for storage and display of different types of certificate, it is designed by using modern machinery. It can be customized in accordance to needs of our customers. With an impressive growth record in this industry, we are providing a wide array of Wooden Certificate Frame.